Come listen and join in with some great live tunes by James Harrison on his banjo and guitar. 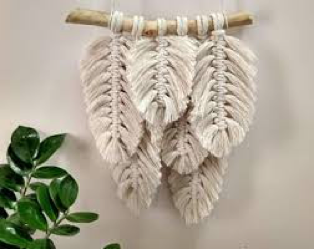 Have you booked your place for our Macrame' Workshop?? Want to learn how to macramé ? Website content is copyright of Bentons Square Community Centre of Mornington, Victoria, Australia, unless specified otherwise. All fees quoted on our website are in Australian dollars. Classes, tutors/facilitators and fees may change at our discretion and we reserve the right to correct any errors at any time. Responsibility is not accepted for the function or content of any websites being linked to from this website. If you have the time and would like to become more involved with the local community consider volunteering at Bentons Square. Only some after hours programs run during school holidays - please contact us about your program of interest. Copyright © 2019 Bentons Square Community Centre. All Rights Reserved.